Don’t put your child’s name on his or her backpack or clothing. 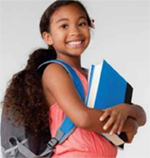 If your child’s name is easily readable on his or her backpack, it makes it easier for strangers to approach them. Teach your children that any adult they don’t know is a stranger, even if they look nice, and that they should never go anywhere with a stranger. Educate your child on when and how to dial 9-1-1. Make sure your children know when they should dial 9-1-1, how to dial 9-1-1, and their home address. 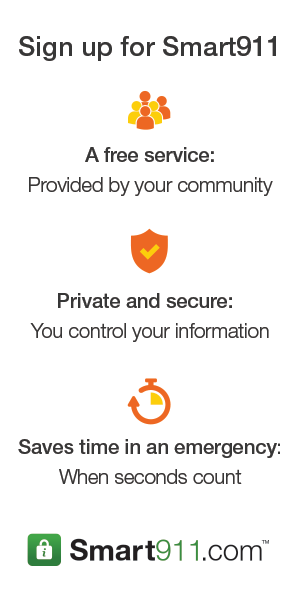 Create a Smart911 Safety Profile to provide 9-1-1 and first responders additional information that can help protect your family in an emergency. 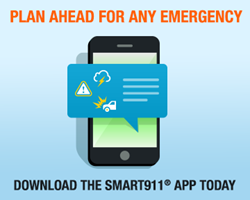 Sign up for emergency alerts for your local area with Rave Alerts through Smart911. What if your child went missing? Does 9-1-1 have the information they need to help you? They do if you have a Safety Profile with Smart911. This is one mother's story. Flyers you may print for local use. What if Your Child Goes Missing?